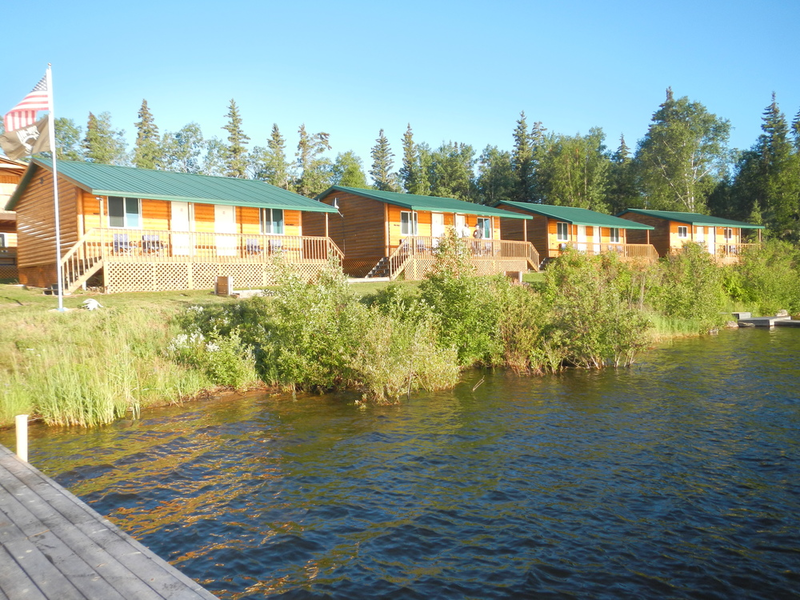 Black Bear Island Lodge is located on the Churchill River System. Because we are an exclusive FLY-IN only facility, you can expect trophy fishing. Fully modern - your own restroom, your personal shower, with a spectacular view of the lake from your porch. You'll experience a breathtaking sunrise with your hot cup of coffee, tea or hot coco. Black Bear Island Lodge provides bedding and linens. Limited internet is available daily after supper. Enjoy a cold one by the fire pit after a long day of fishing. Black Bear offers plenty of areas for you and your group - large or small to gather and visit. Besides your cabin living-room, our main lodge has what we like to call The Bear's Den. It includes a huge TV with a large comfortable sofa. One of our favorite locations is the fire-pit! Here is were all the laughing and story telling take place. As long as the weather permits, we'll have available a roaring fire ready for your relaxation. Rise and shine as your hot beverage and a smile on our face is brought directly to your door. We'll have your hot meal served to your table starting at 7 AM. By 8 AM, your guide will take you to the fishing honey holes, where you'll constantly pull in the trophy fish. Around noon, your guide will take you ashore where you and your group have the option to continue fishing, take a nap, (this usually happens after lunch) help gather firewood or just chill and take everything in. Your guide will set up for lunch. Before you know it, you'll be enjoying your fresh caught fish - this is truly a highlight for everyone! Once you've finished a meal of a lifetime, you'll be back in the boats catching more monster fish. By this time, you are very thankful your guide is helping with the fish release - they can get pretty heavy! Around 5 PM you'll round the corner and find you've been headed back to the lodge and didn't even know it. We're sure you'll want to freshen up for supper, so we'll see you at 7 in the main lodge. Most complain that they had too much to eat at shore-lunch. We totally get it! Nothing like it. Supper is served nonetheless. No complaints over not enough food! With over 96% repeat guests, we often hear that meals are plentiful, fishing is constant, and sleep is deep.